California is often cited at the top of must-do road-trips for those looking for adventure and wellness, and for good reason. Hitting the golden coasts of California, with its abundance of active options for those with an adventurous disposition, means you are pretty much spoilt for choice as soon as you touch down in LA. 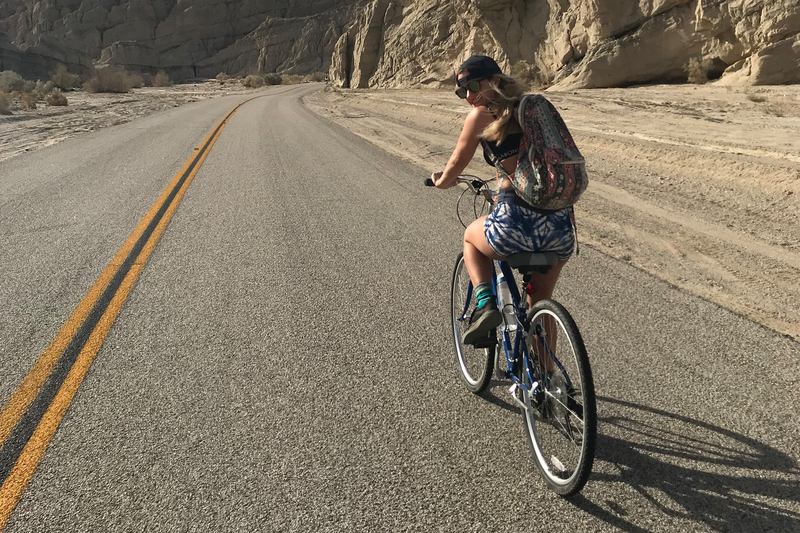 Savvy adventure-lovers know that the easiest (and most fun) way to explore California is by road-tripping with your own set of wheels. 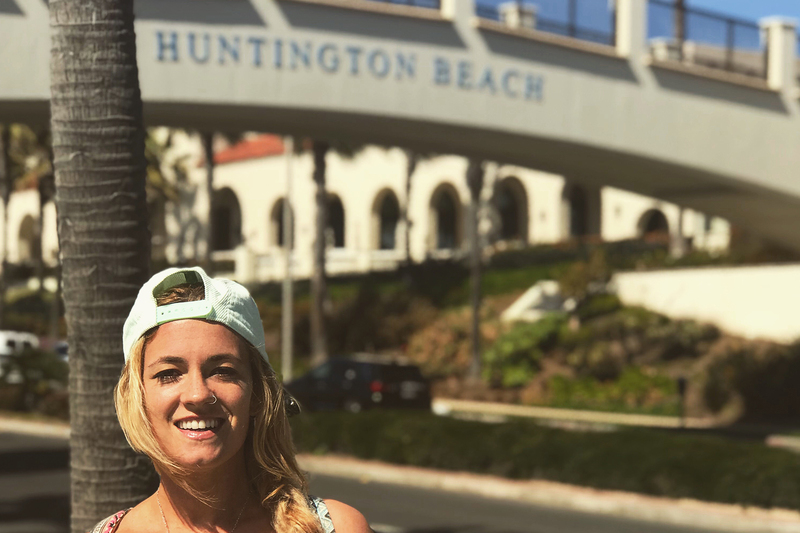 Armed with a plan of spots we couldn’t wait to explore, my partner and I picked up our SUV from Hertz 10 minutes from LAX airport and loaded it up with all the necessary fun-making accruements for our trip, i.e. surfboards, skateboards, climbing gear, and an open mind. Our first stop, Huntington Beach, (also known as “Surf City USA”) was the recent recipient of “The Best California Beach” by USA Today. Rolling up late at night, we sneaked out for a peak of our ocean facing balcony at the Pasea Hotel, hearing the roar of the waves across the infamous Huntington Beach pier. A sunrise of rose-lit skies and out we paddled, catching waves at one of the most iconic breaks in the world and tired arms relenting, some hours later and falling face first into Huevos Rancheros at Tanners, our favourite breakfast spot. With my boyfriend being a skater, we were excited to hit the local Huntington Beach Vans Skate park. Grabbing our boards and tossing them in the boot of our car, we set out for the park. Watching the show put on by some of the insanely talented local skaters, with over 40,000 feet of skate park, a veritable nirvana for skate lovers. Loading up in our Hertz adventure steed, surfed out, sun kissed and stoked, we set out for wellness and desert vibes of Palm Springs. Ready for some restorative body and mind soothing RNR in the otherworldly Palm Springs our hotel at the Avalon, with its heady, woozy, flower-scented vibes and old-school California charm was the perfect spot to unwind. Hike up to the Agua Caliente Indian Reservation for unparalled views of Palm Springs and the desert -The Estrella Spa at the Avalon has a range of incredible massages and restorative treatments -Pool-side yoga classes at the kitschy cool Saguaro Hotel are a must, especially for the pancakes in Rocco’s Electric afterwards -For a new experience, head to Two Bunch Palms for a mud bath at Two Trees, famed for its “alternative” treatments (they also do shamanic healing sessions and sound baths). One of the most stunning spa locations ever - amble through the secret garden-esque grounds, before climbing into a tub of nourishing Canadian natural muds. Rested, nourished, revitalized and ready to hit the waves again, a final cycle through Coachella valley and off we sped to San Diego. The natural beauty of San Diego is off-the chart, and looking across Blacks Beach and Torrey Pines State Park, we spotted perfect, clean sets of waves calling out to us. Five minutes later, boards waxed and wetsuits on at our car, and we headed straight into the water, catching waves amongst local pods of dolphins. 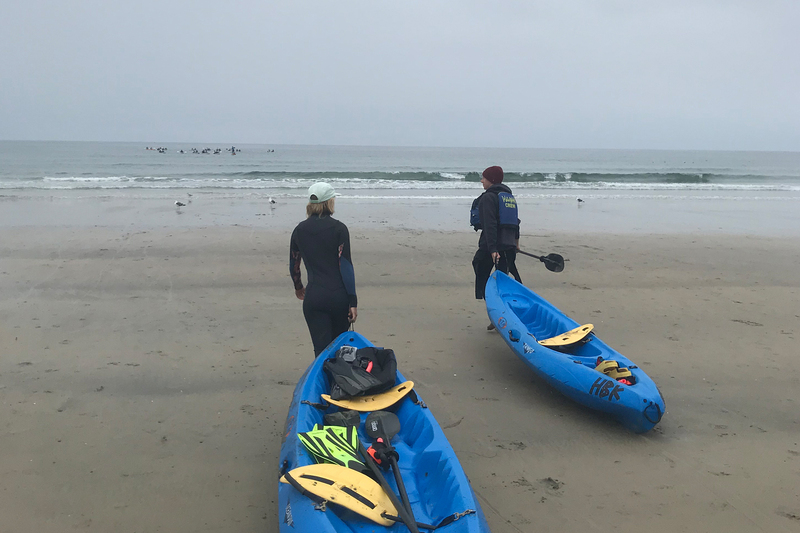 You can expect to see plenty of local marine life here, and on a kayak adventure the next day, we explored the waters, seeing local leopard sharks, seals, rays, schools of fish and more dolphins. Surfing in San Diego is a must - the water is super clean, and you might be rewarded by pods of local dolphins swimming by, which we were so lucky to experience. 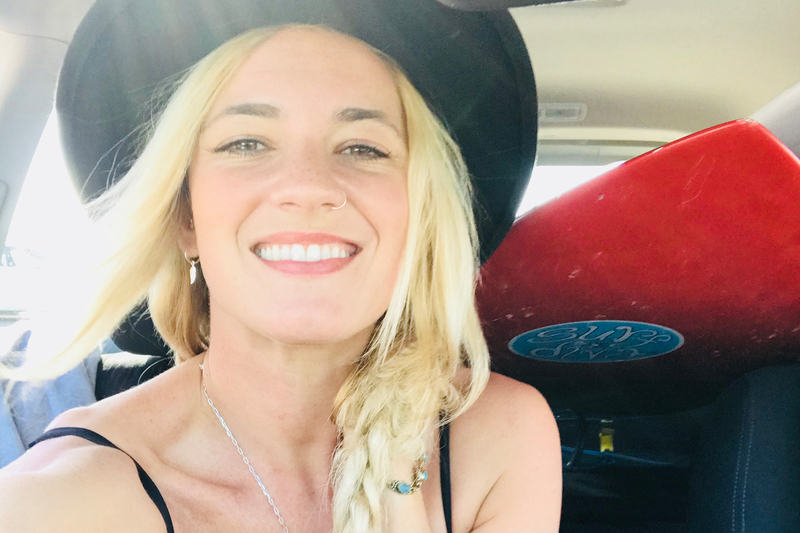 Surf Diva do fun lessons and easy board rental right by the beach -LA Jolla Kayak offer super adventurous trips around the bar, where you can go diving and spot local residents like leopard sharks and rays, explore the rich, kelpy underwater forests, and paddle into secret caves -Chow down on fish tacos – there are so many great taco spots!